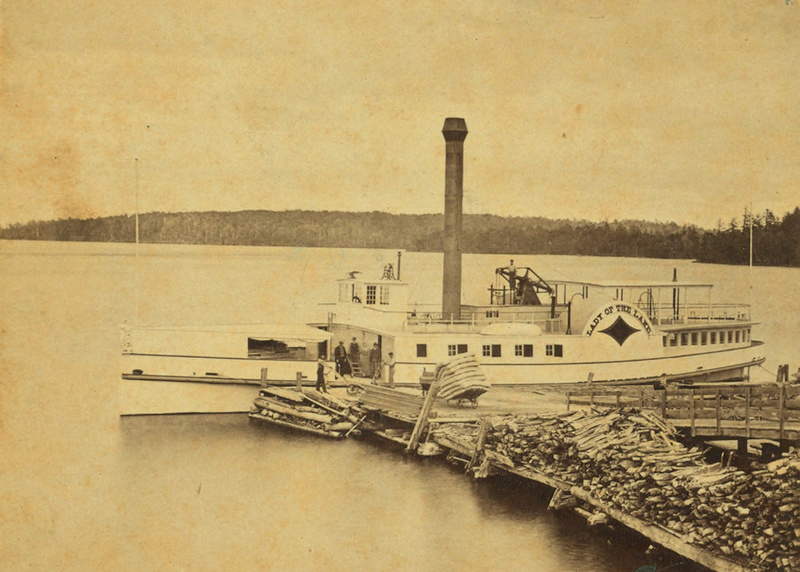 The S.S. Lady of the Lake at Weirs Beach, around 1865. Image courtesy of the New York Public Library. The S.S. Mount Washington approaching the same pier around 1906. Image courtesy of the Library of Congress, Detroit Publishing Company Collection. Lake Winnipesaukee is the third largest lake in New England, and the second largest entirely within the region (Lake Champlain, located on the border of Vermont and New York, is larger than the next 9 largest combined). 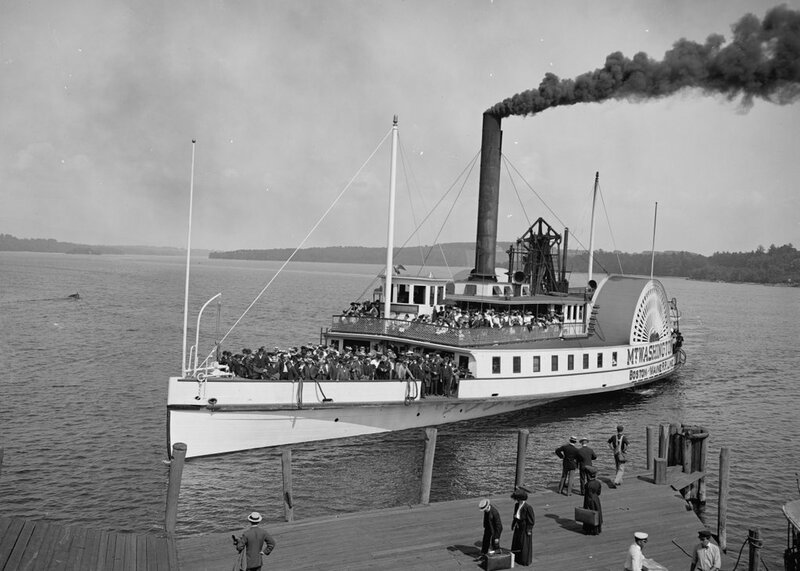 Like Lake Champlain, Winnipesaukee has seen a number of steamboats over the years, with one of the first being the Lady of the Lake, which was completed in 1849 and is seen in the first photo. In the days before automobiles, the easiest way to access most of the towns on the lake was by boat, and much of this traffic in the mid 19th century was carried by the Lady of the Lake. Here in Weirs Beach, visitors arrived by train to the depot just behind the photographer, and then boarded the steamer to travel to their destination. 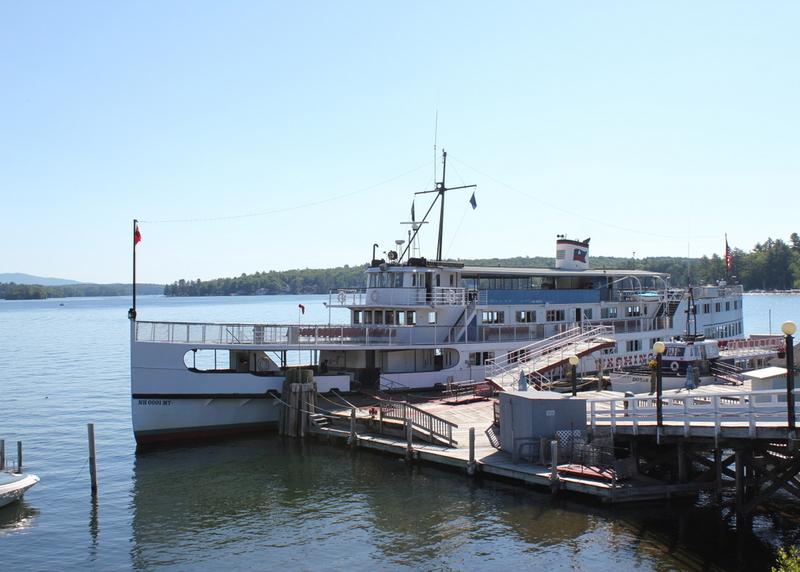 The glory days of the Lady of the Lake lasted until 1872, when the larger, faster S.S. Mount Washington entered service. The older ship continued to operate in a losing battle to compete with the Mount Washington, until she was taken out of service in 1893. Two years later, she was filled with rocks and sunk, and today the wreck is a popular dive site. Meanwhile, the Mount Washington continued to be the preferred method of transportation around the lake until the 1920s, when larger numbers of tourists began traveling by automobile. As a result, the ship’s owners, the Boston & Main Railroad, sold her to a new owner, who marketed the ship as a tourist attraction instead of simply a method of transportation. It was a success, and the ship operated until 1939, when a fire at Weirs Beach destroyed the ship, along with the dock, the railroad depot, and the boardwalk. 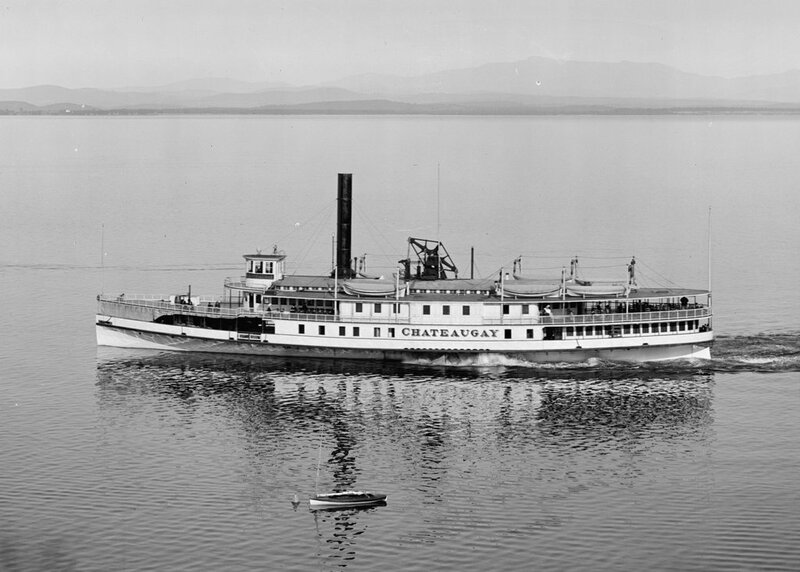 Do you have a picture of the steamship Columbia that was sunk in Winnepesaukee in the 1950’s? Wasn’t a replica built later on. Sorry, but I recall the gentleman who had his yacht built as such. He wintered in Florida. We cruised with him and others. A replica of which boat?